In August this year the WCC’s Jane Swain will be chasing the ultimate long distance prize. She’s doing a bit of a ride from Lands end to John O’Groats under the watchful eye of the RRA. It that isn’t enough she is also scheduled to ride the 1000 miles if conditions are favorable. 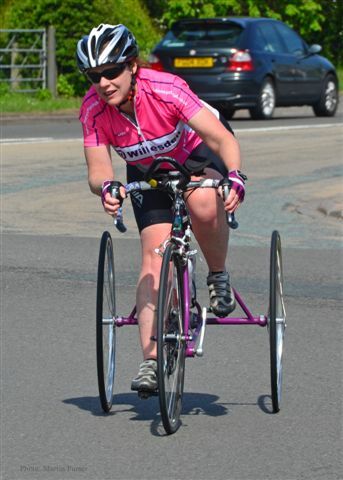 Lynn Taylors bike record will be safe – Jane will be riding it on a trike. Jane’s trike will be donated by George White and sponsorship is from Adrian Hills, as well as Martin and Alison Purser and the TA. Does this mean I will have to get a new trophy for LEJOG records? Does this mean a new LEJOG trophy? Good luck, Jane. Have a great ride and get that record!